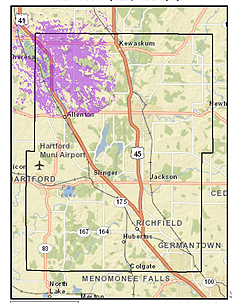 Founded in 2005 in Hartland, Wisconsin HierComm Networks, LLC is a locally owned and operated wireless high speed internet service provider and the network operation arm of HierComm, Inc. Our mission is to help homes, businesses, and communities to realize the benefits of broadband wireless internet. Our focus is on rural and low population density regions. The word Hier is a German word meaning “here” or “local”. Many of our customers have told us we should rename our company and call it HigherComm or HigherComm Networks for the higher speeds we offer over the competition. Whether you call us HigherComm, HierComm Networks or Higher Networks we will not be offended. High Speed Local Broadband Wireless Internet is our purpose. HierComm’s wireless network of towers and relay stations are located strategically all over rural Kenosha County. Our services are available now in the following Towns and Villages of Kenosha County including; Bristol, Paris, Brighton, Wheatland, Randall, Twin Lakes, Salem, Silver Lake, Paddock Lake and Somers. See Map below for coverage areas. HierComm’s wireless network of towers and relay stations are located strategically throughout our Washington County service areas listed below. 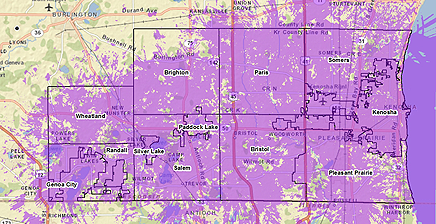 To find out if your home or office is in good signal range, please see our coverage map on the right. Current service areas include; Town of Wayne and portions of; Allenton, Kewaskum, Kohlsville & West Bend.